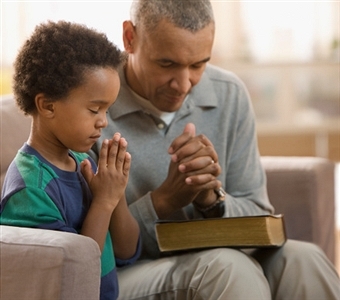 A lifestyle of prayer was birthed in my own life through being raised in the shadow of many great men and women of prayer. Even once I had left for college and then continuing down the road to marriage and raising a family; it seemed that God would always place me in the midst of men and women of prayer. Through colleges and seminaries rooted in prayer such as Christ for the Nations Institute and others. Speakers that taught and motivated us to minister out of the place of prayer, as well as, great Pastors such as Dr. Larry Lea, who were used to call a generation to pray. God was definitely orchestrating in me a lifestyle of prayer. Over the years I have reflected on many of those days and memories and have been encouraged that I had caught an attitude of prayer to sustain me in and through my life. It has kept me through many trying times and has become a lifelong message of mine as well as a book I have published, “Igniting the Power of Prayer”. It is my desire to see God’s people live a life empowered through a life of prayer. This entry was posted in Variety and tagged bible, Biblical walk, Brazil, china, christian, Christian living, Christianity, daily choice, Demonstration (people), devotion, Discipleship, Family, God, Japan, Korea, meditastion, nurturing, Parent, Parenting, Pray, prayer, prayer warriors, Religion and Spirituality, scripture, Thailand, thankful by Bill Virgin. Bookmark the permalink.